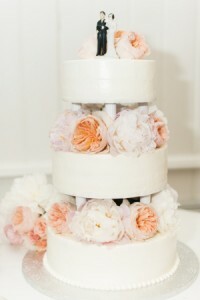 Bakery Café in Southampton, NY | We Offer Four Locations! The Blue Duck Bakery Café The Blue Duck Bakery is committed to giving you the highest quality baked goods with excellent customer service. Whether you need a cake for that special event or you are a wholesale customer looking to improve your product line, we assure you that we use the finest ingredients, make our products from scratch and bake daily on premises. Nancy and I opened our first bakery café in Southampton, New York, in 1999. It didn’t take long for the local residents to appreciate our quality, dedication and desire to be a part of the community. 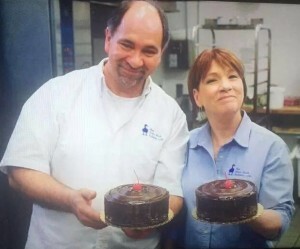 The loyalty of our customers and subsequent success of our Southampton bakery enabled us to expand into three additional locations including Southold, Riverhead, and Greenport, NY. It is our same “village baker” dedication that has guided our success and our commitment to our customers in all our locations. Our wholesale division began with a few local restaurants ordering some bread from us. They would come pick up or we would deliver, as a courtesy, with our family’s mini-van. The quality of our loaves were noticed and soon we were delivering throughout the South Fork. Now you will discover our crusty breads and delicious pies, made fresh daily, at fine restaurants, markets, and grocers located on the North and South Forks as well as the rest of Long Island, Brooklyn and Manhattan. Our Riverhead and Greenport locations are bakery cafes. Besides bringing home delicious cakes, breads and pastries, you can come in, sit down and enjoy some lunch. We offer a selection of sandwiches, soups, salads and quiches. All our sandwiches are made fresh daily on our amazing artisan breads. Our soups are made fresh for us by Hale and Hearty and are all natural and delicious. For lighter fare, try our fresh crunchy salads or an individual quiche. Although we won’t use the word “barista”, our staff is trained to create a selection of cafe drinks including cappuccino, espresso, lattes and gourmet hot chocolates. For those less adventurous, we do have regular and decafe coffee as well and for our tea drinkers, we offer whole leaf teas by Plain Tea of Southampton. Our friendly, attentive staff can help you choose the perfect artisan loaf to go with a plate of pasta or beef bourguignon, as well help you choose a yummy cheesecake, fruit tart, or whipped cream pie to please family and guests. Our goal is to make food that pleases you and serve you with promptness and courtesy. Contact us today for retail service in our cafés or wholesale service with baked goods delivered to your restaurant. We serve many local businesses, residents and visitors of Southampton, Southold, Riverhead, and Greenport, New York. At the blue duck bakery cafe, we provide baked goods to fine restaurants, caterers, and specialty markets. We Deliver Daily from Montauk to Manhattan! Copyright © Blue Duck Bread Corp. All rights reserved.